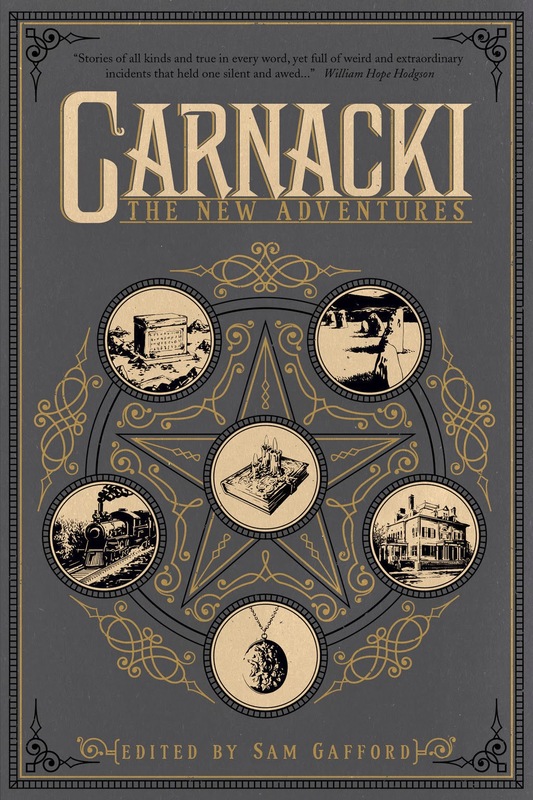 Eight of the twelve stories in this swell collection of new tales featuring William Hope Hodgson's character Thomas Carnacki, one of the most famous occult detectives in fiction, have crossovers in them, and will therefore be included in the book. And while my story didn't have a crossover in it, there is a reference to one of my other characters from a different series. Charles, I recognized the "fellow occult investigator from America who carried a silver edged sword" as Judge Pursuivant, but I didn't catch any references to your other work, unless Doctor Price is an ancestor of Sheriff Carl Price. I hinted in Blind Shadows that the sword Carter Decamp carries might be the same sword that once was Pursuivant's, so you were dead on.